A full mouth reconstruction by your West Hollywood cosmetic dentist is a series of dental procedures designed to provide you with a fully restored, more youthful and natural-looking smile. Whether you have suffered dental trauma, lost teeth, severe decay, advanced periodontal disease or other dental problems, you may be a candidate for full mouth reconstruction. After the West Hollywood full mouth reconstruction dentist restores your smile, you will enjoy the benefits of a fully functional, healthy and magnetically attractive mouth. The cosmetic dentist of West Hollywood Holistic and Cosmetic Dental Care can provide the dental services and reconstruction you need, if this procedure is right for you. 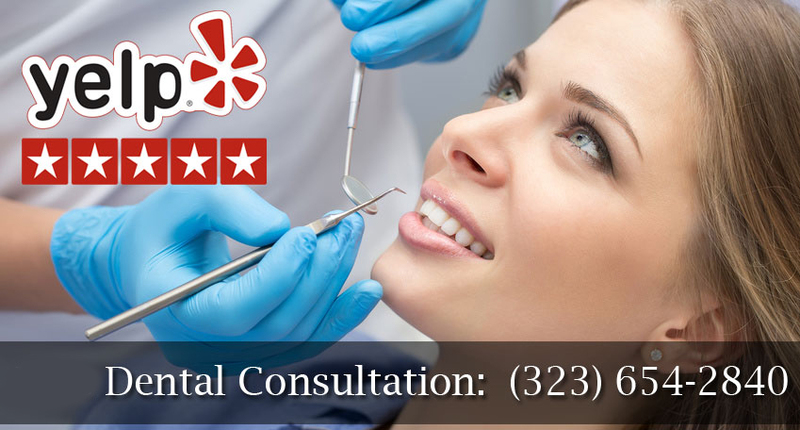 Your holistic dentist of West Hollywood Holistic and Cosmetic Dental Care will work with you to create a treatment plan that delivers the smile and bite you need. This will be done while also ensuring whole-body wellness before, during and after your full mouth reconstruction. There are a multitude of treatment options that may be included in your full mouth reconstruction. 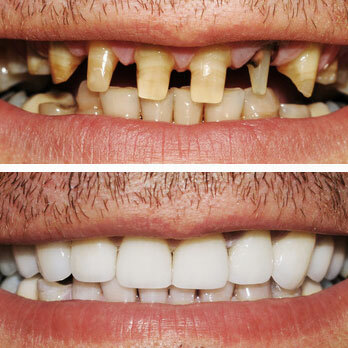 Each patient is a unique individual with entirely unique dental needs. The cosmetic and implant dentist will consult with you regarding your dental goals, specific issues and needs, to develop a comprehensive treatment plan that includes full mouth reconstruction, if appropriate. The first step to getting your new smile is a full oral evaluation by the full mouth reconstruction expert. You may undergo dental X-rays, three-dimensional imaging, dental impressions and other means of gaining all of the data, dimensions and perspective the dentist needs for a concise plan. Using these methods, your West Hollywood dental professionals can see any underlying issues in your teeth, gums and jawbone. Some of these issues may need to be addressed before your reconstruction begins. With advanced technology used in the West Hollywood full mouth reconstruction dental office, you may even be able to see a preview of what your results will look like, so you can adjust the plans with the dentist if needed. There are numerous treatment options that may be involved for your ultimate full mouth reconstruction. The cosmetic dentist will discuss these options with you and answer questions about their purpose, expectations and procedures. At West Hollywood Holistic and Cosmetic Dental Care, you are always treated as the individual that you are, with your own unique dental needs. The caring professionals and Dr. Bruce Vafa provide expert dental care, whether you need only routine checkups for your healthy smile, or full mouth reconstruction for transformation of your smile, confidence and daily life. For your full mouth reconstruction, a treatment timeline may be only a few visits or may take longer and involve orthodontic treatment. You can learn more about full mouth reconstruction or schedule an appointment to gain an evaluation with Dr. Bruce Vafa in our West Hollywood dental office.